I’m not a fan of Sport Utilities Vehicles. First and foremost, they’re not much fun to drive, they are not fuel efficient, and not especially roomy( Mini vans generally offer much more room take up less space and drink less gas). However, they make a lot of money for the auto industry anywhere from 5 to 20 thousand per vehicle. Nearly every automaker has a Sports Utility Vehicle. Initially,SUV’s where based on truck platforms. Today truck based SUV’s are less then 10% of the market. Today SUV’s are crossovers, based on car platforms. These vehicles are lighter and more fuel efficient. The fastest growing segment are the compact and subcompact SUV’s. The Ford Escape is based on the Focus platform. Introduced in 2013, the second generation Escape is sleek and slippery and completely erases the brick like generation one from memory. 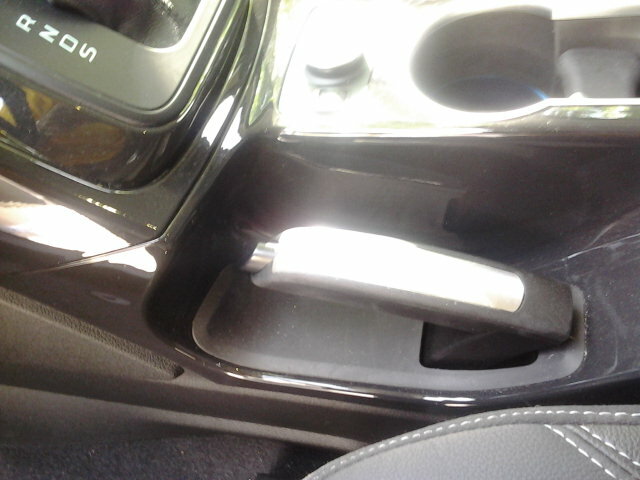 As with most crossovers, getting in and out of the Escape was very easy. The front doors are extra wide. Front leg room was very good for this 6.4 big and tall man. However, the driving position was narrow due to a very wide console. If your a wide person, try before buying. I drove the Titanium ,the top level which, came with very comfortable leather seats and while the driving position was very narrow, not once did this big man need to pull over on route to Reno. The rear seat comes up short on comfort and leg room. If your passengers are over 5.10. they wont be happy for long. The seat cushions are very thin . In this era of 8 and 9 speed transmissions, Ford six speed was flawless on the 300 mile trip. 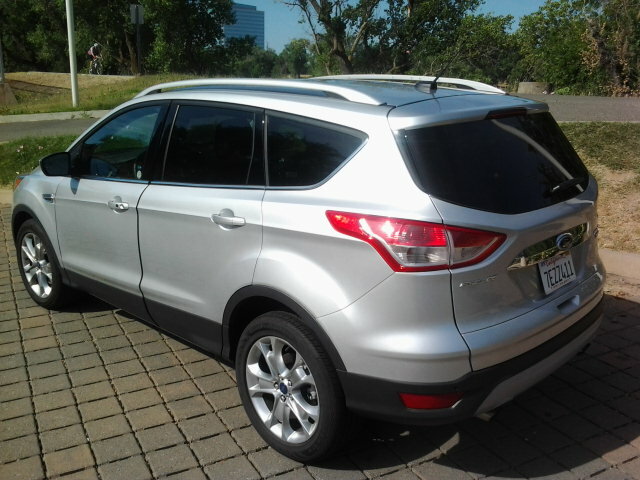 The Escape was fun to drive(yes I said it), the 2.0 Ecoboost was no joke. The last SUV that brought a smile to my face was the Mazda CX 5 ,but it was noisy ,so I was aware of speed. The combination of quiet and power kept me well above the speed limit and I averaged 21 MPG. This vehicle was well thought out. 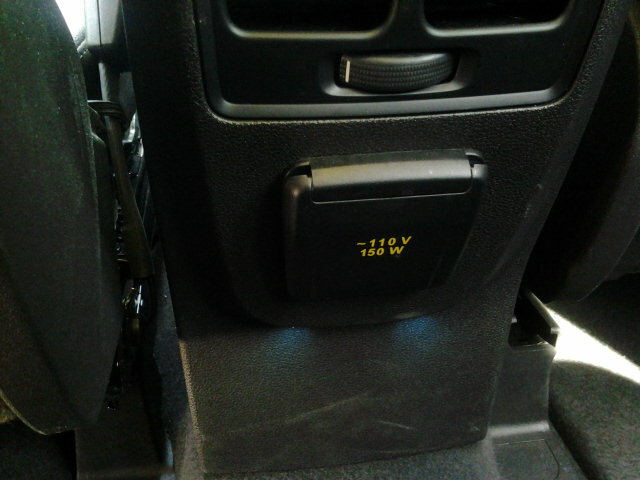 From the one handle fold down rear seats and abundant power supply sources, to its fantastic foot activated lift gate. 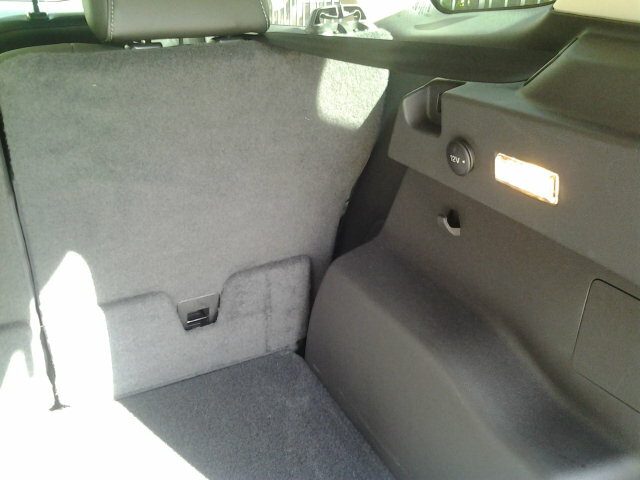 There is quite a bit of usable room behind the rear seats. 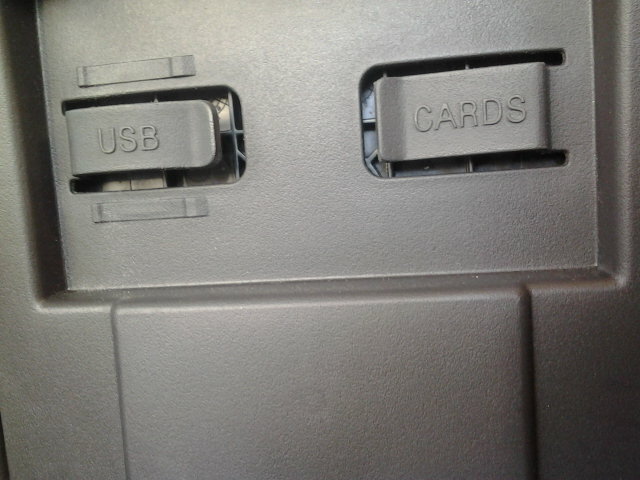 Power sources in the armrest with a place to store cords and business cards. Fit and finish was good, I noticed a few gaps here and there, it wasn’t bad but not great. Ford was one of the first car companies with an Infotainment systems. First with voice recognition (Microsoft My Sync) system which works well. And then with my Ford slash Lincoln Touch. The Ford system, like other infotainment systems are very confusing and overly complicated, requiring several steps between applications. People who have bought a smart phone for the first time can relate to the frustration. Mastering the apps for the first time can be challenging until you’ve mastered the system. Now add driving to the mix. Ford continues to offer updates to fix response time, it hasn’t been enough for many owners. It took three try’s to link my cell to the Ford Touch. The Ford Touch is the only option on mid level and upper level Fords. On the Escape S, a basic radio with a traditional power button is the standard radio. Of all the manufacturers only, Chrysler-Fiat and Kia-Hyundai seems to get it right. Ford isn’t the only company having problems with its infotainment systems. A few months ago Apple announced Car Play. Car Play is a rebadging of “iOS in the Car,” which Apple revealed at its Worldwide Developers Conference in 2013. The first examples of CarPlay will come from Ferrari, Mercedes-Benz and Volvo, all of which are premiering the technology in various car models this week. Other automakers like BMW, Ford, General Motors, Honda, Hyundai Motor Company, Jaguar, Land Rover, Kia, Mitsubishi, Nissan, PSA Peugeot Citroën, Subaru, Suzuki and Toyota will be rolling out CarPlay-compatible cars down the road. Owners of Android, Blackberry and Windows phones may have to wait a few more years. Ford’s eco boost engines have not reliable. There is a law suit from owners of the 3.5 Eco boost engine. Some some owners of that 3.5-liter V-6 EcoBoost engine, also used in some Lincolns and Ford cars and SUVs, have sued Ford because the engine doesn’t run right, they say. Last February, Consumer Reports found that many of today’s turbocharged engines fail to live up to their advertised promises of better fuel economy and strong performance. Ford’s Fusion with 1.6-liter EcoBoost became the chief bad example, being “among the worst” in real-world mileage among midsize sedans, including some powered by conventional, non-turbo, larger-displacement, four-cylinder engines. • Last year, Fusion and Escape SUVs with 1.6-liter four-cylinder EcoBoost engines were recalled several times for coolant and fuel leaks that could result in fires. Every single Ford, with an EcoBoost engine has received a negative rating in Consumer Reports Annual Auto Report published every April . The Duratec 2.5 has better than average ratings. I have driven three small SUV this year. The Ford Escape, Kia Sportage, and the Mazda CX-5. Of the three, the Titanium Escape was by far my favorite. However, if I had to choose, it would be the CX -5. It doesn’t have the Escapes’s power and it generates a lot of road noise, but it has more room front and back get better gas mileage and its a blast to drive. 1.6L EcoBoost 4 producing 178 horsepower and 184 pound feet of torque. This entry was posted in Android Phones, BIG MAN RIDES, Cell Phones, Gadgets & Gizmo's, Gas Prices, Phone Technology, Rumorcity, Smartphones and tagged 2014 Ford Escape, Apple, Apple Carplay, Consumer Reports, Ford EcoBoost, Ford Fusion, Kia Sportage, Mazda CX 5, My Ford Touch, SUV, USA Today. Bookmark the permalink. ← “Remember His Name” “Vitalii Sediuk” He’s gonna live…………..